Have you always wanted that Hollywood smile? You don’t have to travel to Beverly Hills to have your perfect smile created. 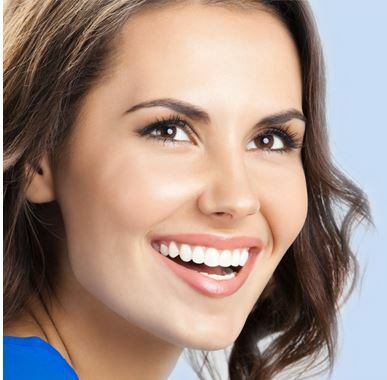 You can have the same perfect ‘smile makeover’ as seen on TV and in magazines all in an affordable and comfortable manner right here in Brisbane. Anyone can enjoy the perfect Hollywood smile, with the assistance of a cosmetic dentist and porcelain veneers. Porcelain veneers are super thin, custom fabricated shells of tooth coloured porcelain designed to cover the front surface of teeth to improve your smile’s overall aesthetic appearance. They are bonded to your natural tooth so you can brush and floss just like your own teeth. There are different types of Porcelain Veneers. The minimal or no prep veneers where little or no enamel is removed before the porcelain veneer is inserted. In this case the veneer is applied to the existing tooth enamel. Imagine. In just a two visits, you can have an amazing Hollywood smile . . . a smile that has been custom designed just for you. A smile that is straighter and whiter. You’ll be looking younger and feeling more confident. And it’s all possible with your cosmetic dentist and porcelain veneers. You need to have a consultation with a dentist to determine if you are a good candidate for porcelain veneers. Every patient is different and the cosmetic dentist works closely with each patient to identify what aspect of their smile they want to change , as well as their budget. Take the step to improve your smile with porcelain veneers.